Rome was essentially a giant self-led history tour, and in just a couple of days, my friends and I managed to visit nearly every major destination. Through the scorching heat and the random flash floods – we came, we saw, we conquered. A couple of us arrived Friday evening, and we reluctantly agreed to wait until the following day to start exploring with the full group. 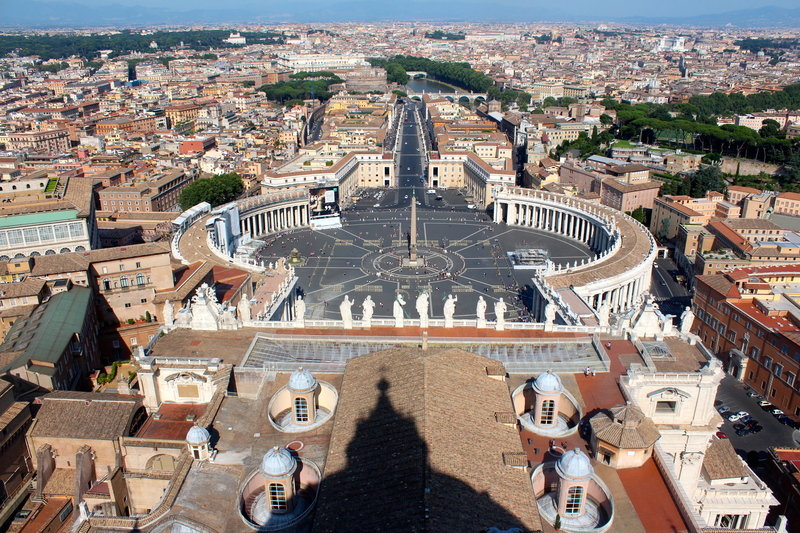 On Saturday we went to the Vatican City where we visited the Vatican Museum, Sistine Chapel, St. Peter’s Basilica, and hiked the 40,000,000,001 steps to the top of Cupola San Pietro for an unbelievable view of the city. 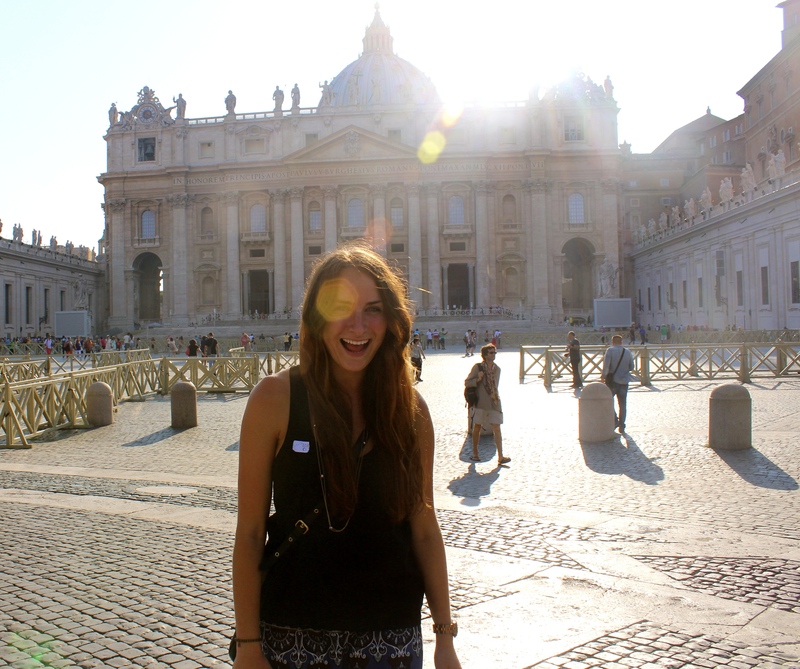 Although I am not religious, it was an amazing experience being in such a sacred city. During the tour, we met some fellow travelers and quickly became best of friends. It’s always exciting meeting and hanging with travelers, as great as it is to meet locals, it’s exciting to share first-time experiences with fellow foreigners. After the tour ended, a few of us got dinner together and shared an amazing four course meal back in town followed by some gelato and wine. We then headed to the Spanish Steps and the Trevi Fountain for some entertaining people-watching (aka drunken shenanigans). After a long first day, we slowly found our way back to the hotel and immediately fell asleep. The next day, we visited Palatine Hill, The Roman Forum, and the Colosseum. At this point the heat was really starting to get to us, I was starting to feel light-headed just walking in a summer dress – I can’t even image how Romans stood, let alone fought, in pounds of metal. Maybe I’m a complainer, but having to bear the heat in all of that armor seems pretty miserable, maybe that’s why they fought to the death? (tasteless joke, my bad). After collecting enough dirt in my sandals to fill a swimming pool, we headed back to the Trevi Fountain to visit during the day. Within minutes, flash floods and hail began randomly storming down. We were borderline trapped under a small bridge until it was safe enough to resume touristic endeavors, even though we were stuck, it was actually a crazy fun experience that we laughed about after – once the hail subsided of course. It blew my mind how we could be boiling in heat without a cloud in sight to then sudden storms happening within minutes. Eventually we made it back to the train station – just in time to make our train back home. The entire weekend seemed like a giant blur, a bit of information overload and overwhelmingly excessive amounts of walking, but I was definitely grateful to be able to see as much as we did in less than 48 hours. As crazy as the weekend was, I do have to admit that Rome is one of the coolest cities I’ve ever seen. Although, I still have so much more that I want to explore. 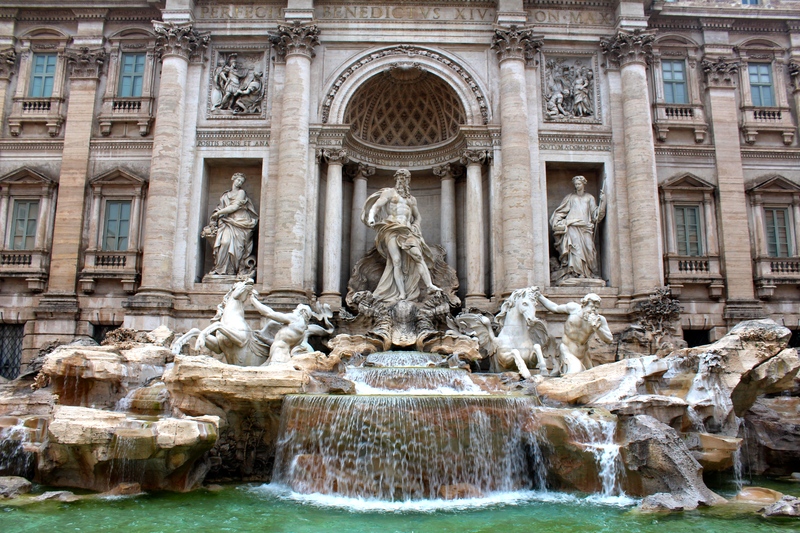 Luckily, I did toss a few euro in the Trevi Fountain, so that means that I have to return. Arrivederci Roma!